Accessories - CTM - CZECH TRUCK MODEL, s.r.o. A Volvo FH16 grille mesh for the Italeri Volvo FH4. A single piece high quality resin roof for Italeri Volvo FH4 (3940). Accessories There are 36 products. 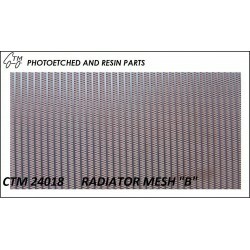 An universal radiator mesh for detailing your model radiators, coolers and heat exchangers. Finer than version "B" CTM 24018. 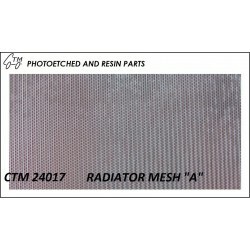 CTM 24018 Radiator mesh " B "
An universal radiator mesh for detailing your model radiators, coolers and heat exchangers. 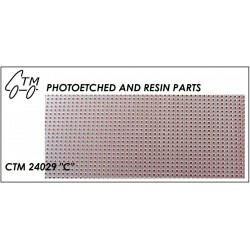 CTM 24027 Catwalk type "A"
CTM 24028 Catwalk type "B"
CTM 24029 Catwalk type "C"
CTM 24030 Catwalk type "D"